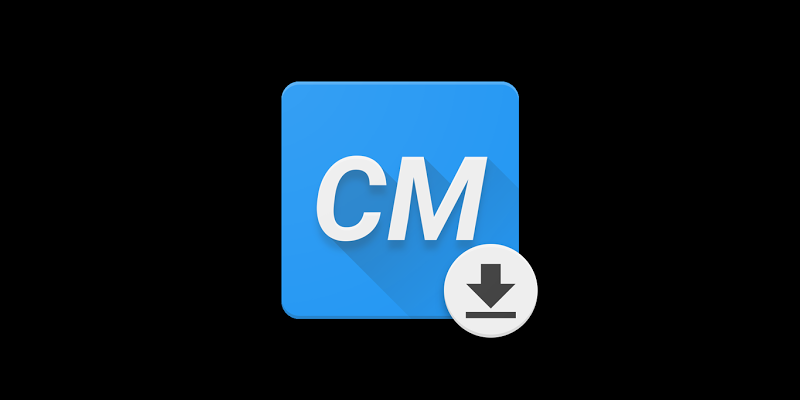 For those of you who are already rocking CM's latest on your device, we have a pretty solid giveaway for you: 50 codes for CM Downloader Premium. 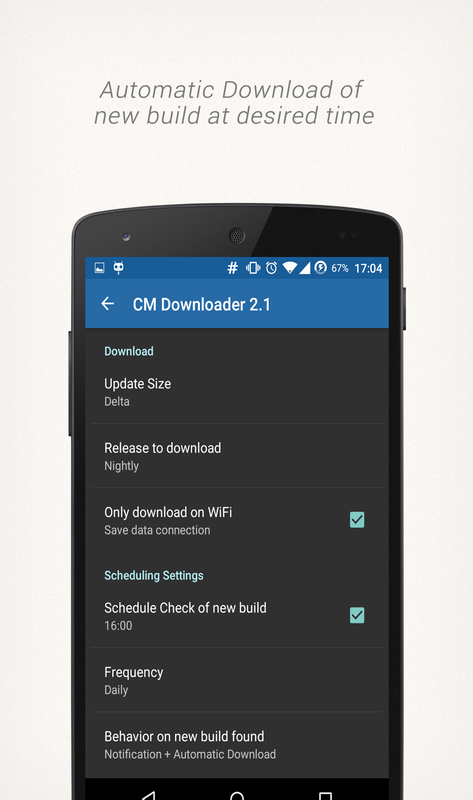 If you're not familiar with what CM Downloader does, it's pretty simple — it makes easy work of downloading new versions of the ROM for your device, with both delta updates and full ROMs included. 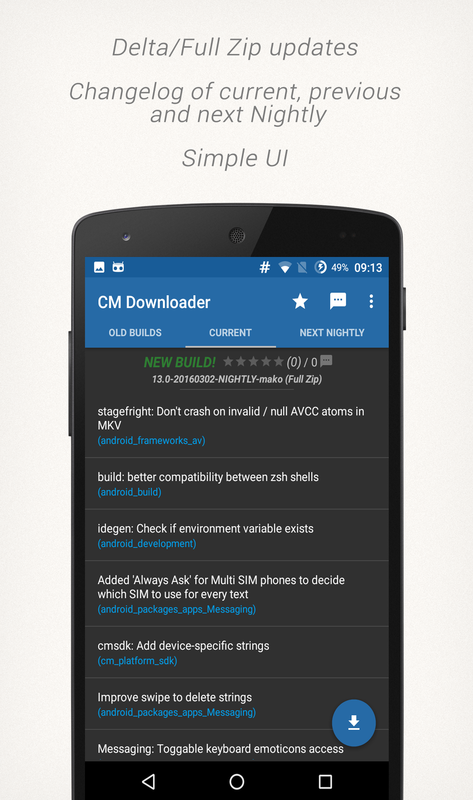 What's more — and honestly the real value of CM Downloader — is the rating and comment system found within the app. 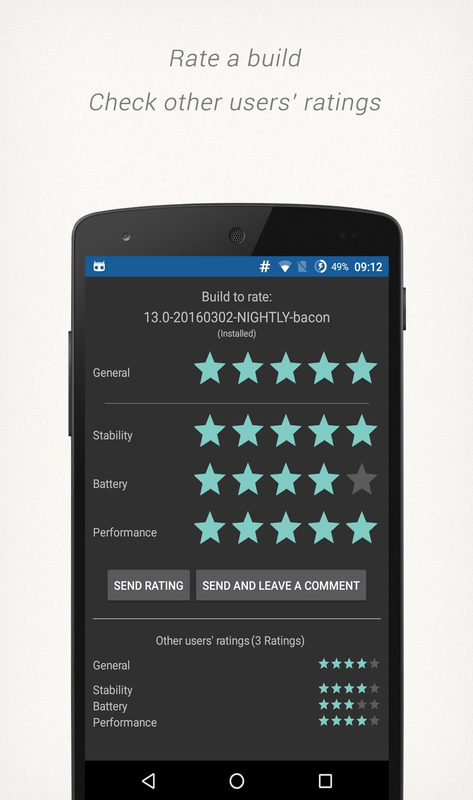 This allows CM users to rate the latest build for stability, battery life, and performance, as well as give it a general rating. These are some of the main things most users likely want to know before flashing an update, so if you're an early adopter, it's a great way to help out the community of users who are on the same device as you. 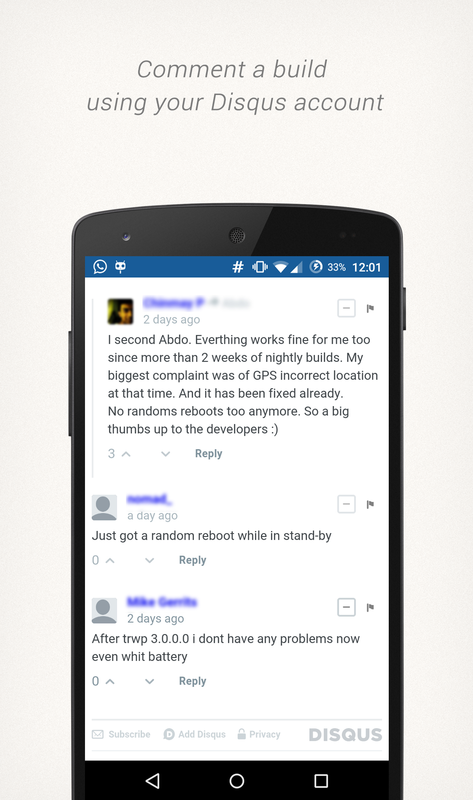 Otherwise, it also uses Disqus to enable a comment system on each ROM, allowing users — and the ROM developers themselves! — to have an open line of communication about issues that may arise in the newest builds. 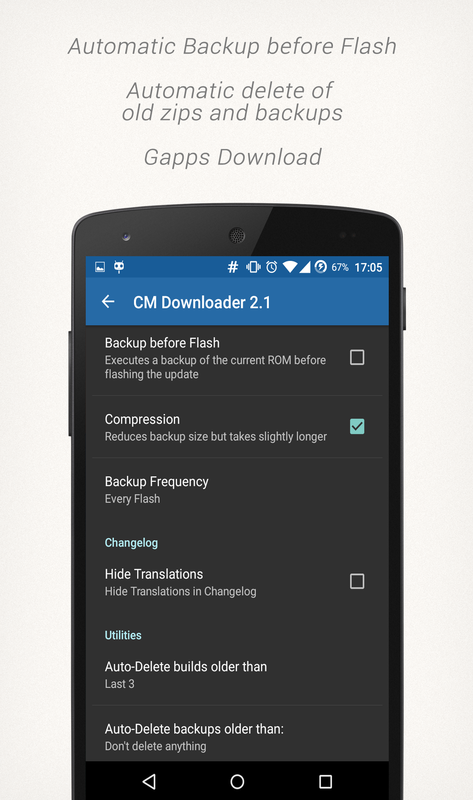 Honestly, that just kind of scratches the surface of everything that makes CM Downloader useful for CM users. The Premium version, which is normally a couple bucks, removes all ads from the app, enables automatic flashing of new builds at a user-specified time, and even backs up the existing ROM before the flash in case something goes catastrophically wrong. So, how do you get in the running? We're going with the same format we have on the other download code giveaways for this one: just leave a comment down below. 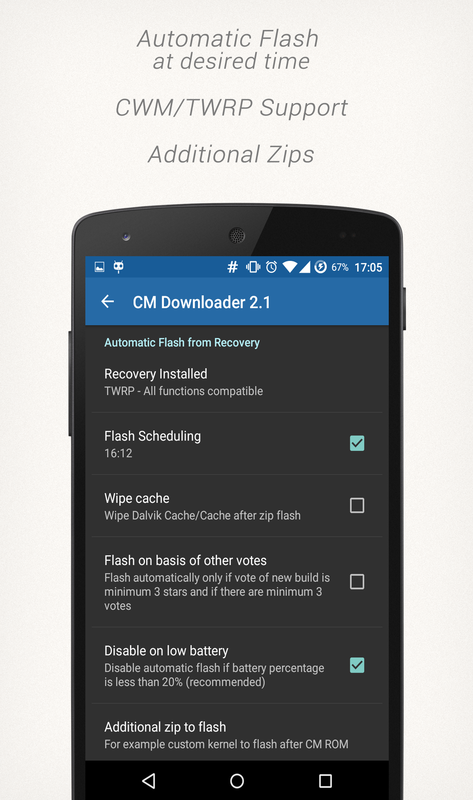 Tell us why you want CM Downloader, what your favorite thing about CM is, or something else relevant. Any comment that has nothing to do with the topic will be disqualified. Seriously, it's simple, guys — don't be lazy. This one will run through the weekend, and end on Monday at 11:59 PM PT. We'll finalize the winners shortly after and send the codes out.